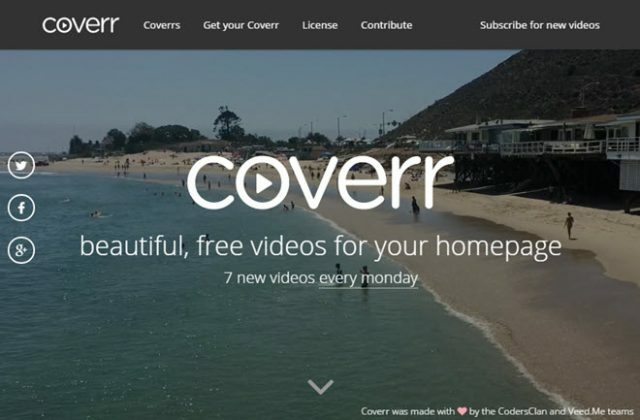 A new video every day, or seven new videos every Monday, that’s what the operators of Coverr promise to provide. Since they have already added over 320 videos to their supply, there’s no reason to doubt this pledge. As the name says, the videos work best when used as covers, so-called hero videos, for a website’s background. Coverr is operated by the teams of Veed.me and CodersClan. Veed.me is a platform in which customers get to search and book videographers for their needs. Veed.me lives off of a 15 percent share that the filmmaker pays. The platform is free for the customer. The prices are not getting dumped, and the platform doesn’t pretend to be a cheap supplier. To me, that makes it likable already. I have similar feelings towards the CodersClan. They are a community of professional developers that don’t accept everyone. They are proud to say that they only take six of 100 applications. This serves the protection of quality and is bound to please the customer. With this preselection, I would not have any worries when asking for a commission. The CodersClan maintains the website, while Veed.me provides the videos for Coverr. As expected, the result is well-rounded. By now, the website presents over 320 videos in an infinitely scrolling grid that can be further filtered using category tabs. If you click on a video, it will open in a popup. Here, the video is started. It is also possible to download the video or to have it be displayed as a cover, a background. 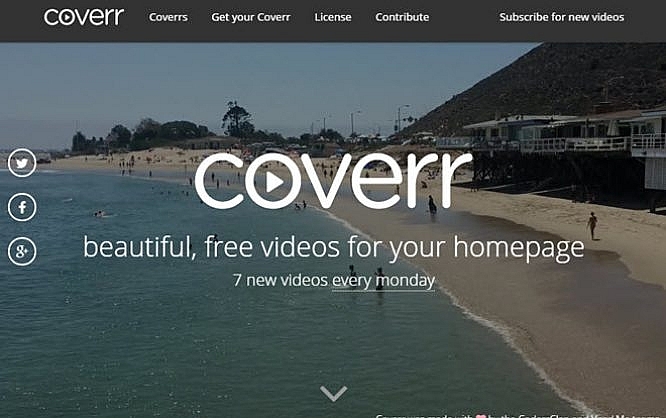 If you choose this option, the Coverr website’s background video is replaced with your current choice, so you can judge the suitability for yourself. If you decide to download it, you’ll immediately download a zip to your disk. The zip contains three folders in which the video is included as an MP4, WEBM, and as a JPG screenshot. You should use all three versions on your website. The operators of Coverr will also show you how to do that. Here you’ll find three snippets in HTML, CSS, and JS, which only need minor adjustments before you can use the respective video as your website’s Hero area. As I mentioned before, all short clips are free-to-use. The chosen license is the most liberal one possible, called CC Zero, better known as Public Domain. Assets with this license can be used by anyone for any purpose without restrictions or costs. This way, you’re on the very safe side.